SKOWHEGAN — Skowhegan/Madison Elks Lodge recently provided Cedar Ridge Center with its first barbecue of the year, during National Nursing Home Week. 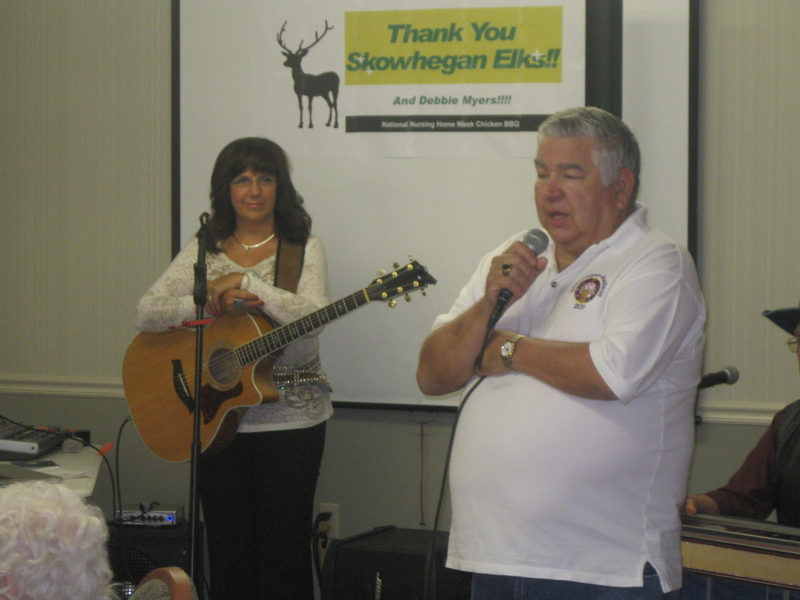 The Elks had applied for a special grant to hire country music singer Debbie Myers to entertain and the Lodge to furnish a chicken barbecue for the facility. Lodge members prepared salads, cooked and assisted with the meal service. Approximately 150 people were served, which included Cedar Ridge residents, their family members and staff as well as 22 residents that attended from Spring House Gardens, on Silver Street.